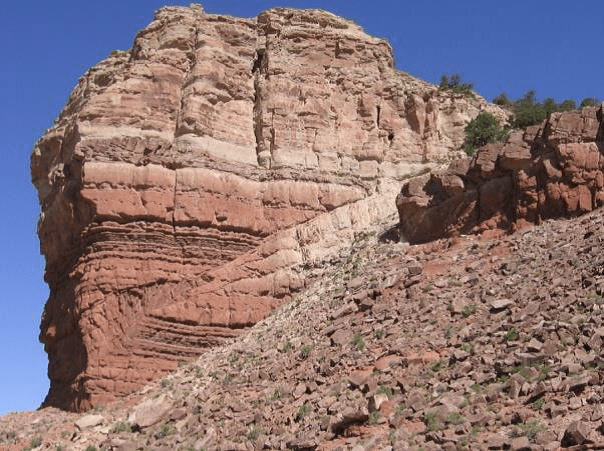 What is a geologic structure ? 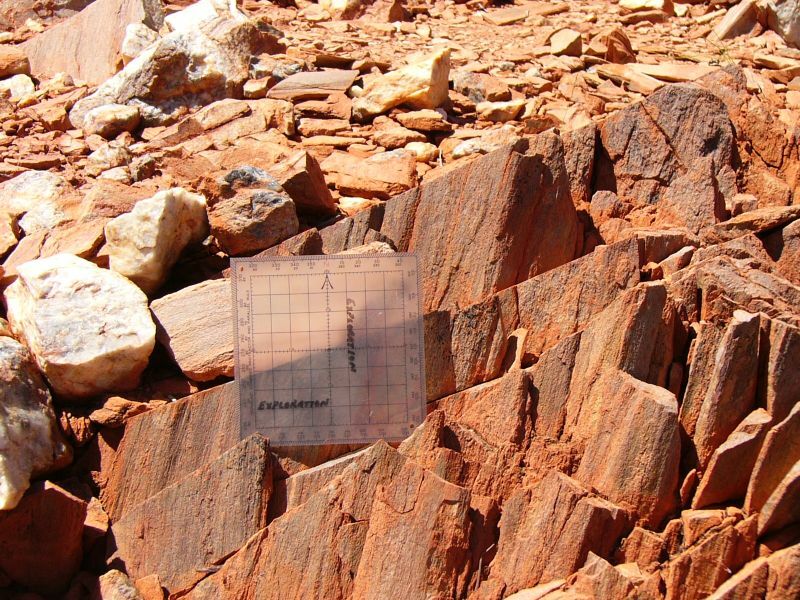 A geometric feature in rock whose shape, form, and distribution can be described. 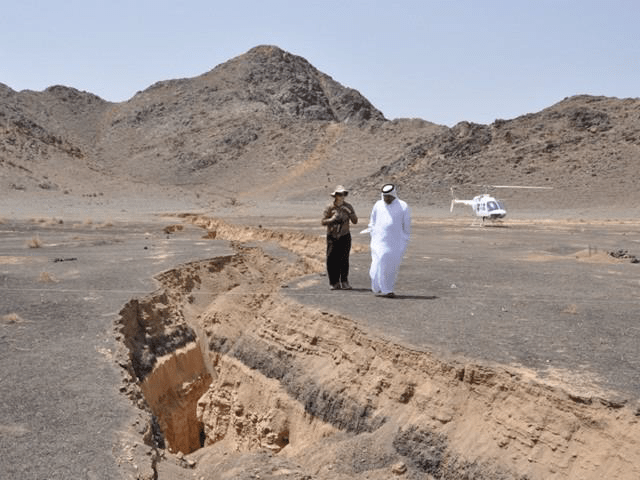 What is structural geology ? 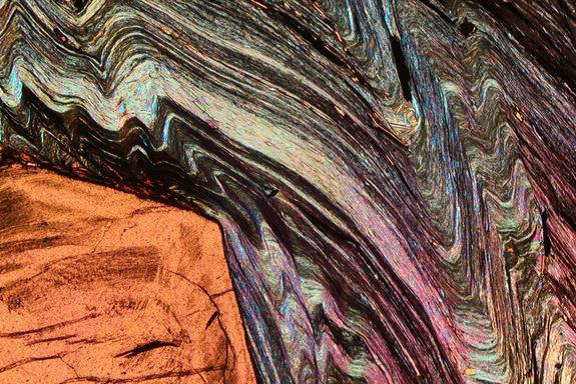 It is the branch of geology that studies the 3D geometry from micro to macro scale of rocks to explain the deformation processes the rocks experienced since their origination. Teaches you not only facts, but also skills and techniques that are necessary in advanced classes and central to geologic practice. 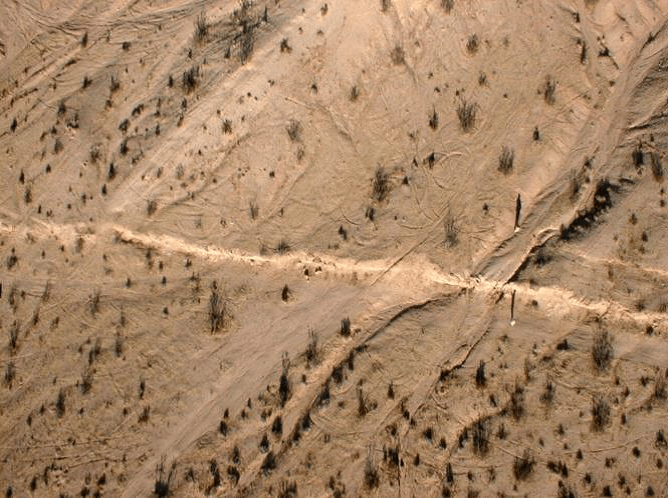 Structural geology provides information about the conditions during regional deformation using structures. 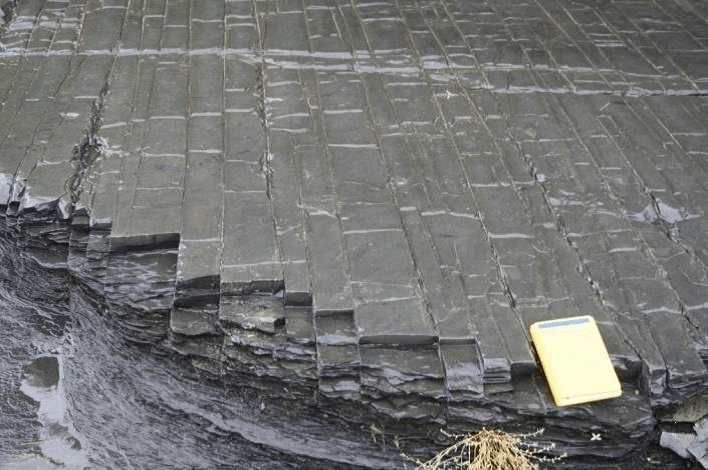 What are the job opportunities for a structural geologist ? 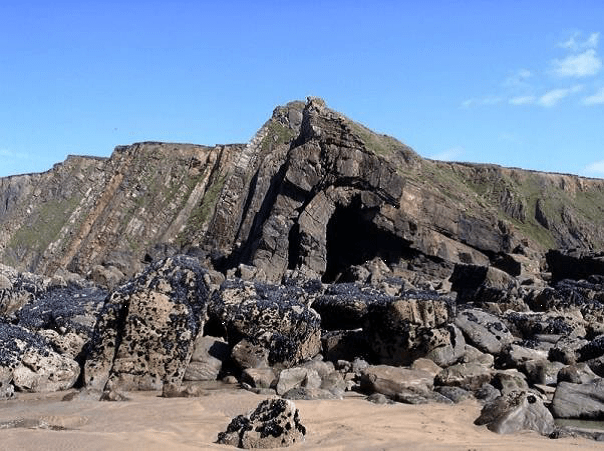 What do we study in structural geology?  We measure attitude of planes and lines. Regional or Provincial:Roughly definable; generally corresponds to a physiographic province. Taurus Mountains, Himalayan Plato. Macroscopic or Map Scale:Larger than an area one can see from a particular point on the ground. Microscopic: Visible with the help of an optical microscope. 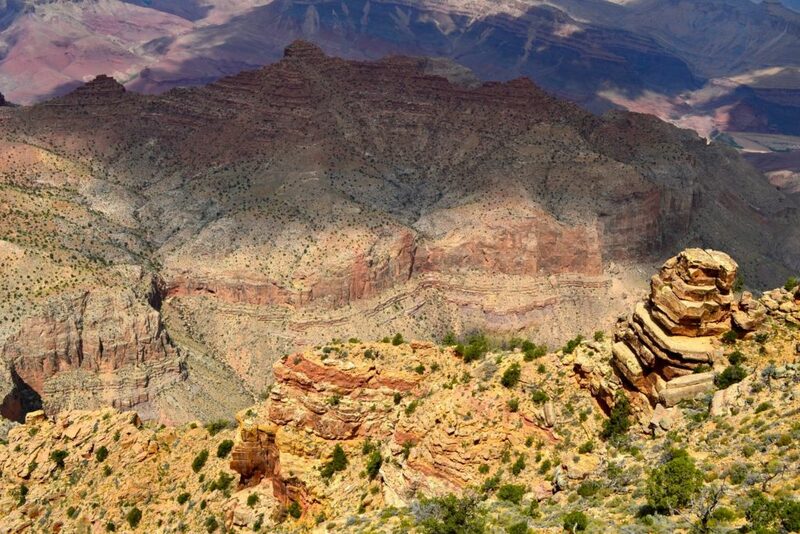 Are structures that develop during the formation of the rock. (Ex. 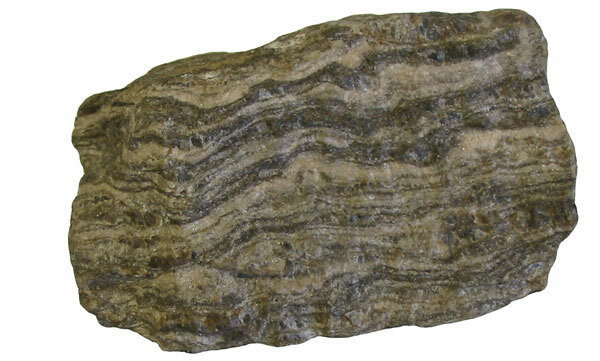 Bedding, ripple mark or cross bedding in sedimentary rocks). 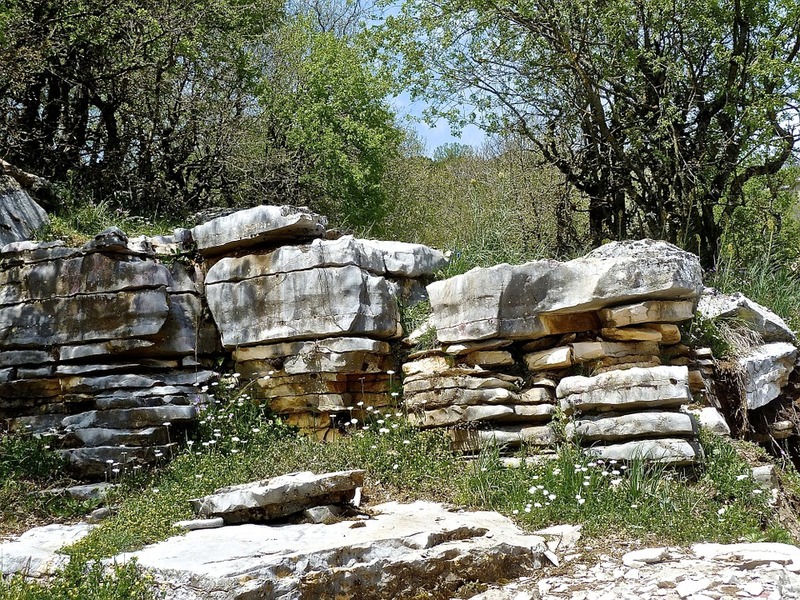 Primary structures represent the local conditions of the environment within which the rock forms (Davis & Reynolds, 1996). 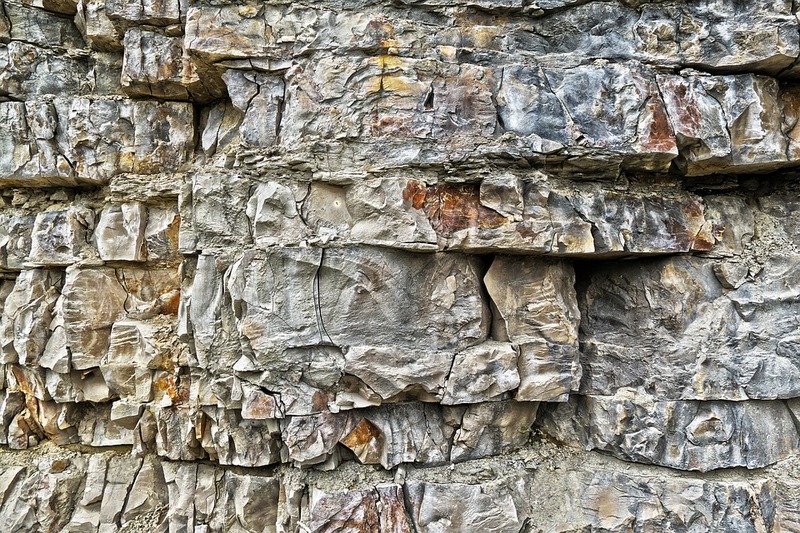 Are structures that develop in sedimentary or igneous rocks after lithification, and in metamorphic rocks during or after their formation. 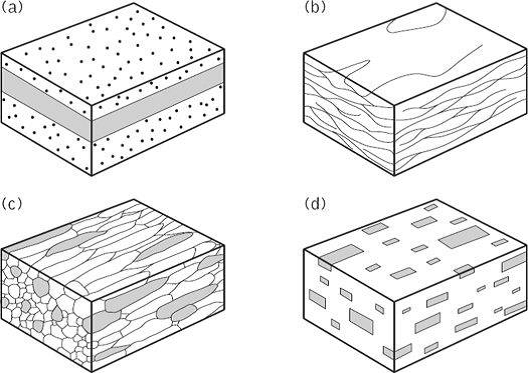 Fundamental secondary structures are joints and shear fractures; faults, folds, cleavage, foliations, lineations, shear zones (Davis & Reynolds, 1996). 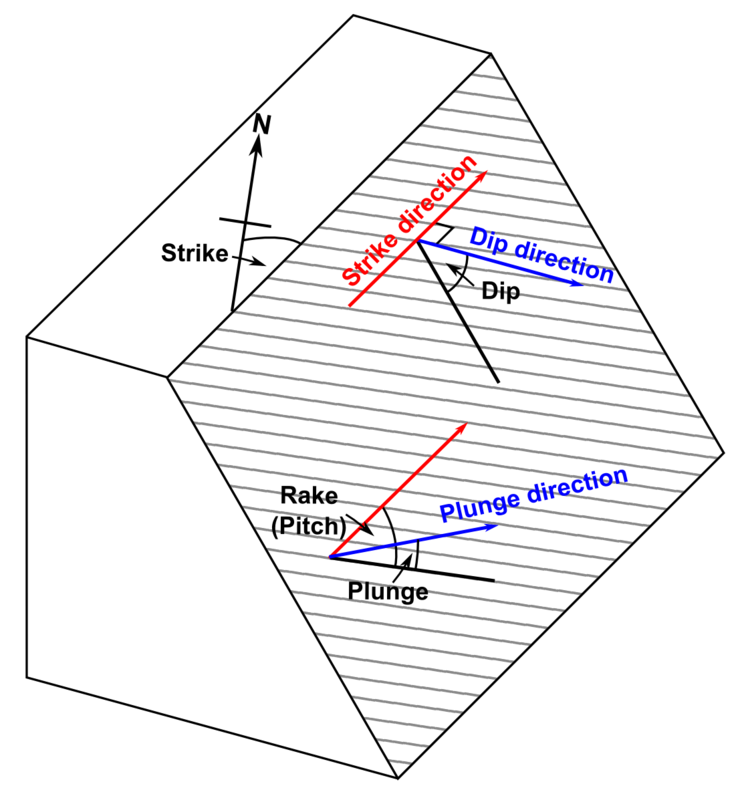 Trend: The direction of a horizontal line specified by its bearing or azimuth. Bearing: The horizontal angle measured east or west from the true north or south. Azimuth: The horizontal angle measured clockwise from the true north. Strike:the trend of a horizontal line on an inclined plane. It is marked by the line of the intersection with a horizontal plane. (Davis & Reynolds, 1996). 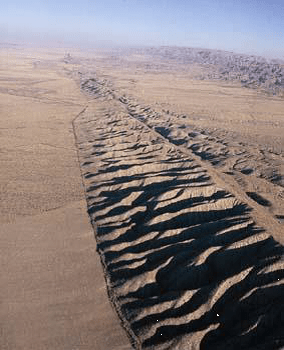 Is a local separation or discontinuity plane in a geologic formation, such as joints or faults. 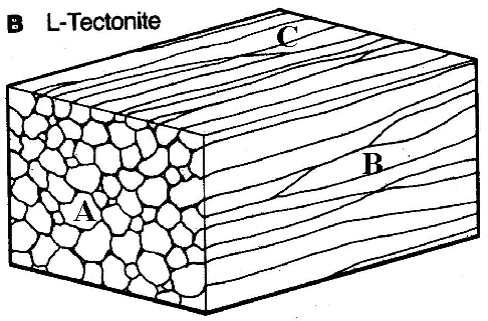 A joint is a separation in rock where the amount of separation is not greater than the displacement associated with the opening of the fracture. 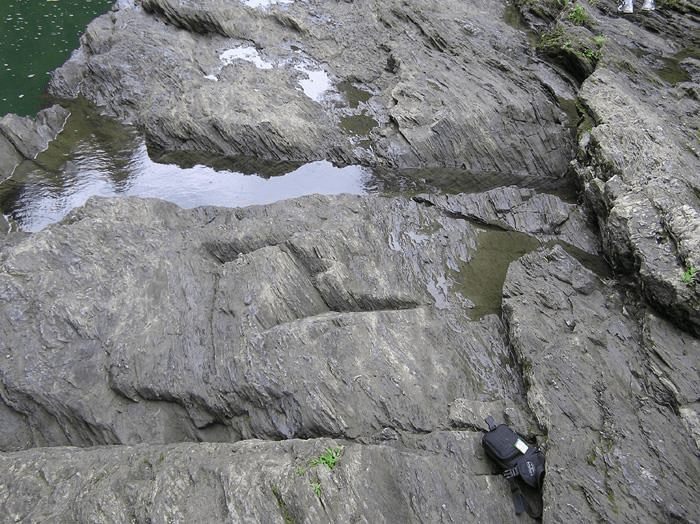 Distinct fracture surfaces along which rocks have been offset by movement parallel to the fracture surface. Folds are planar surfaces that are curved or bent due to external forces. 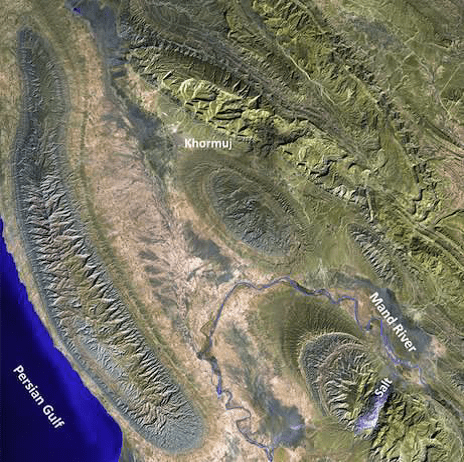 Landsatimage of large anticlines in the ZagrosMountains (NASA). 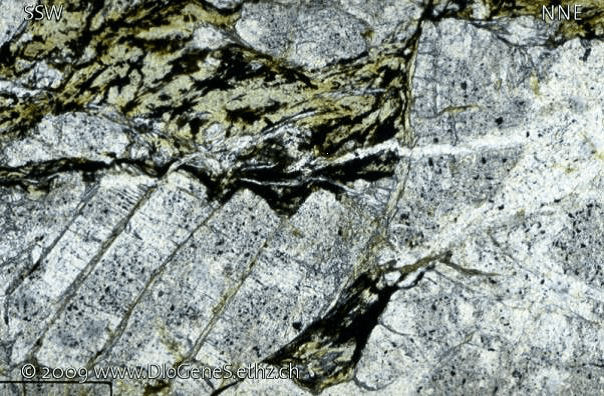 Foliation is any penetrative planar fabric or layering in a rock. 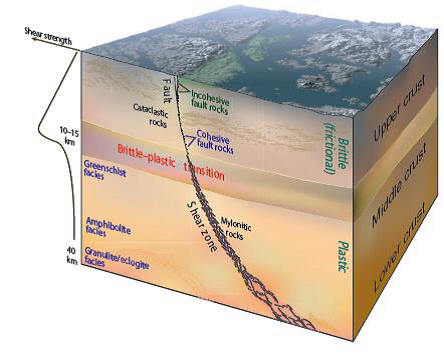 Simplified modelof the connection betweenfaults, which normally form inthe upper crust, and classicductile shear zones(Fossen, 2010, Cambridge Press).